Yesterday I went to Ao Nam Mao. 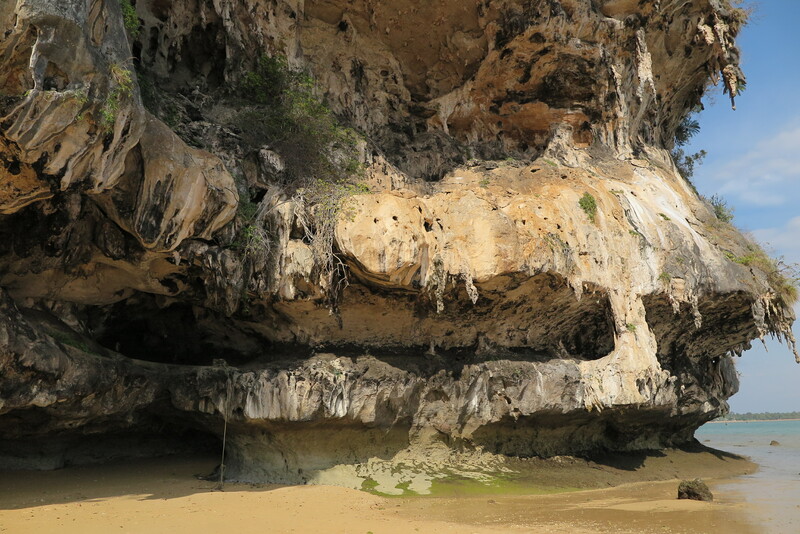 It’s about a 15 minute drive from Ao Nang. There was some place called “Heaven-7”. It was really weird. It almost looks like an unfinished amusement park. They were playing what I think the kids these days call EDM (Electronic Dance Music) really loud. They also charge ฿50 to get in. Not sure why. There’s nothing to do except walk around. 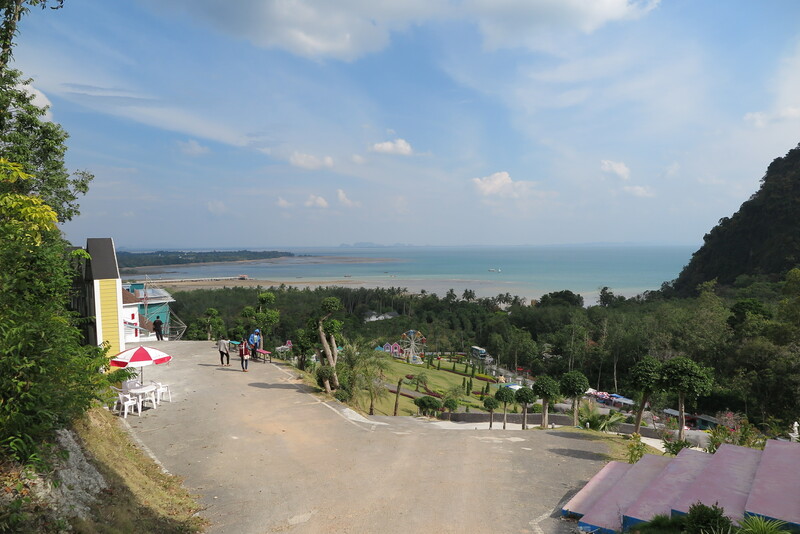 But it’s on a big hill and at the top of the hill is a nice view of the Andaman Sea. View from the top. Not sure if it was worth ฿50. Next I decided to walk along the beach. It was free and lots of fun. There were all sorts of crazy rock formations. I kept thinking there should be rock climbing here. It would be lots of fun but people probably don’t climb here because access is dependent on the tide and the beach is very rocky. But it was still fun to look at all the rocks. Lots of stalactites, stalagmites, and this one section had a super huge roof section. Though I am not good enough now, this looks like a lot of fun to climb. 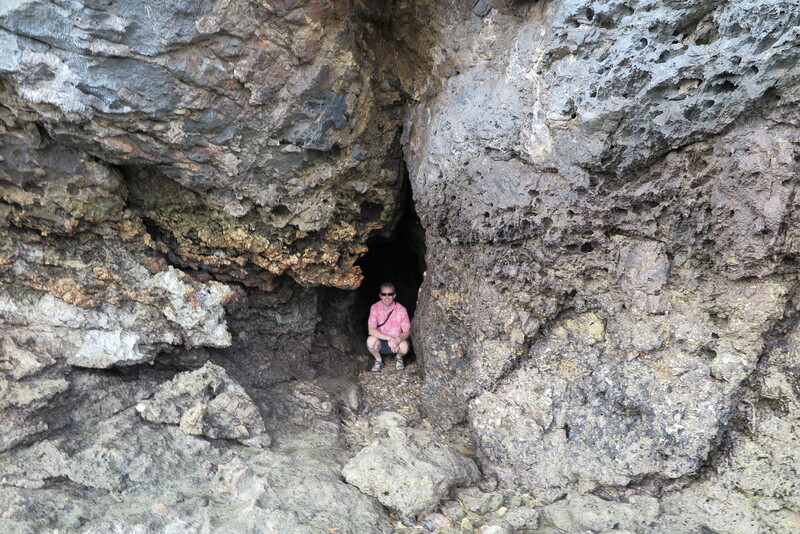 A little cave I wedged myself into. 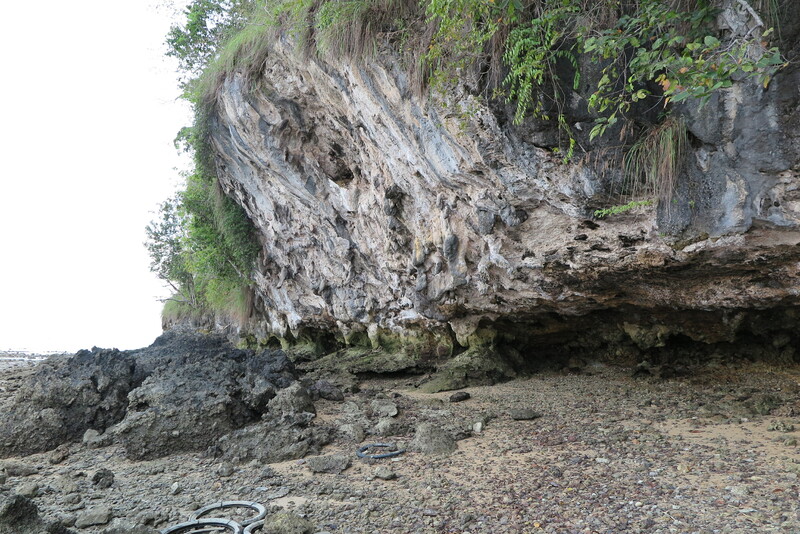 Definitely not Railay beach but the rocks are cool! This entry was posted in daily life on January 20, 2015 by kph76.